The Run & Jump defense is perhaps the most feared defense in basketball. It is a straight man-to-man that SUDDENLY turns into a double-teaming, gap-shooting MONSTER! 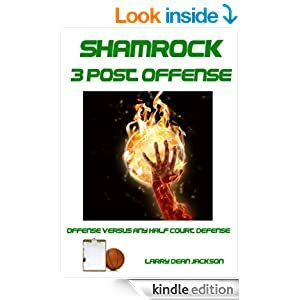 Learn the “secrets” to the Run and Jump Defense with this book. 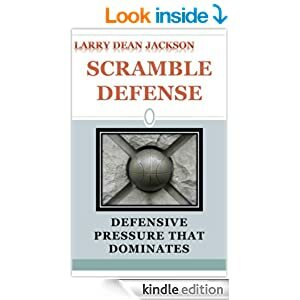 This entry was posted in BOOKS, Defense, Pressure Defense, Run and Jump, Scramble Defense and tagged basketball defense, coaching basketball, pressure defense, run and jump defense, scramble defense on April 3, 2014 by admin. This entry was posted in Defense, Man-toMan Defense, Pressure Defense, Run and Jump, Scramble Defense and tagged basketball defense, coaching basketball, man to man defense, run and jump defense, scramble defense on April 3, 2014 by admin. The Scramble defense is a man to man full court press. The only defender that is not guarded is the player taking the ball out of bounds. Everyone else has an assigned player to defend. After the ball is inbounded is when the excitement really begins for the defense and the chaos erupts for the offensive team. This entry was posted in BOOKS, Defense, Drills, Pressure Defense, Run and Jump, Scramble Defense and tagged basketball defense, coaching basketball, man to man defense, run and jump defense, scramble defense on April 2, 2014 by admin. This entry was posted in BOOKS, Defense, Man-toMan Defense, Run and Jump and tagged basketball defense, coaching basketball, run and jump, scramble defense on April 1, 2014 by admin. This entry was posted in Run and Jump and tagged basketball defense, eddie andrist, run and jump, scramble defense on March 27, 2014 by admin. This entry was posted in Scramble Defense and tagged basketball defense, man to man defense, scramble defense on March 27, 2014 by admin. This entry was posted in Run and Jump and tagged basketball defense, man to man defense, run and jump, scramble defense on March 27, 2014 by admin. This entry was posted in Pressure Defense and tagged basketball defense, man to man defense, pressure defense, run and jump, scramble defense on March 27, 2014 by admin.